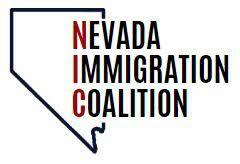 Carson City, NV – On Monday, April 15, 2019, from 8 AM- 9 AM at the Nevada State Legislature, a Las Vegas bus will be in Carson City with over 50 community leaders, immigrants and refugees, and activists to lobby their elected officials regarding immigrant and refugee integration, high-quality education, and criminal justice reforms. Participants will be greeted by Indigenous tribes and communities upon arrival with a program to follow with Nevada state legislators and personal stories. The event is sponsored by the Progressive Leadership Alliance of Nevada (PLAN) and led by the Nevada Immigrant Coalition. “We are heading to Carson City, many participants for their first time, to advocate for policies that will help improve and protect the lives of immigrants and refugees across the state of Nevada. We have the unique responsibility this legislative session to show our communities that xenophobia is not welcomed nor tolerated in our state,” said, Erika Castro, Organizing Manager, with the Progressive Leadership Alliance of Nevada, and lead for the Nevada Immigrant Coalition. “As the Director of the African Community Center, which has been resettling refugees in Las Vegas for over 15 years, I have the privilege and honor to speak on behalf of those refugees who may not have the language skills or may not know whom to address to share their struggles, stories, and successes, as well as to advocate for millions of those who are still in refugee camps all over the world,” said Milan Devetak, Director of the African Community Center. “The immigrant and refugee community in Nevada is full of people from around the world that contribute to our culture, growth, and economy. As an immigrant myself, I am traveling to Carson City to stand up for those still in the shadows because we are a community that fights together for one another,” said Maria Nieto, Civic Engagement Coordinator, with Mi Familia Vota. What: Bus trip, lobby day, and Indigenous community-led welcome and program with prayer, personal stories. Why: Opportunity for immigrants and refugees to meet with their legislators to talk about education, immigration, and criminal justice reform. Interviews in Spanish and English will be available for the media. Interviews, pictures, and b-roll can be made available if you are unable to attend. Mi Familia Vota is a national civic engagement organization that unites Latino, immigrant, and allied communities to promote social and economic justice through citizenship workshops, voter registration, and voter participation. Mi Familia Vota has operations in Arizona, California, Colorado, Florida, Nevada, and Texas.